One of the best 3rd party keyboard I’ve used so far is Swiftkey. With great autocorrect and swipe, I could never use an Android phone without it. Hence, I paid for Swiftkey sometime back and never regretted it. 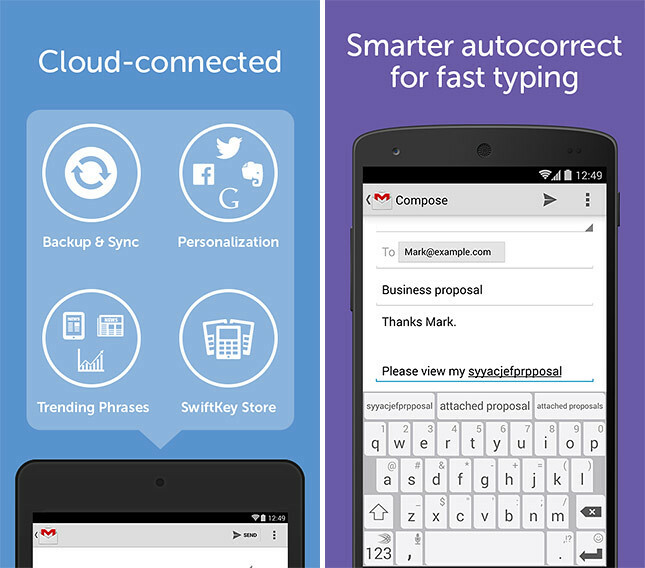 They just announced yesterday that the latest version, Swiftkey 5 will be available for all Android users for FREE. We’ve got big news! From today, SwiftKey Keyboard is free on Google Play – and with this update, it’s packed full of new features, including support for over 800 emoji and more than 30 new themes. NOTE: To all who paid for it (like me), the team is offering a Premier Pack of 10 new premium themes to download, worth $4.99, for free! 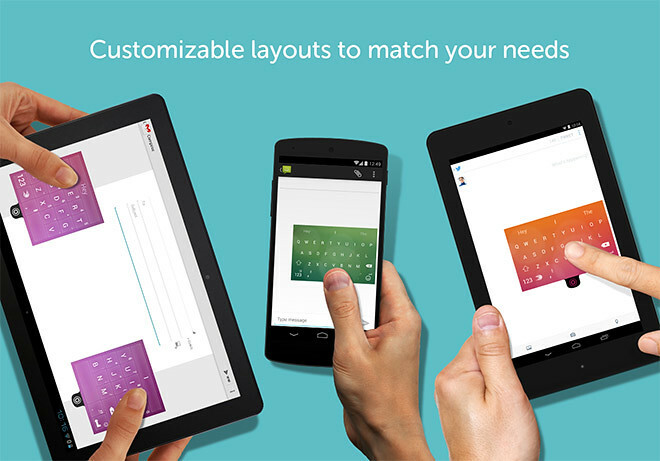 SwiftKey Store – A place for you to customize your keyboard with great new add-ons! The store is stocked with more than 30 new free and premium themes and will be regularly refreshed. New default theme – We’ve added a crisp new default theme in SwiftKey, ‘Nickel’ (because it’s based on the original Cobalt theme, and, well, Nickel is next in the periodic table). 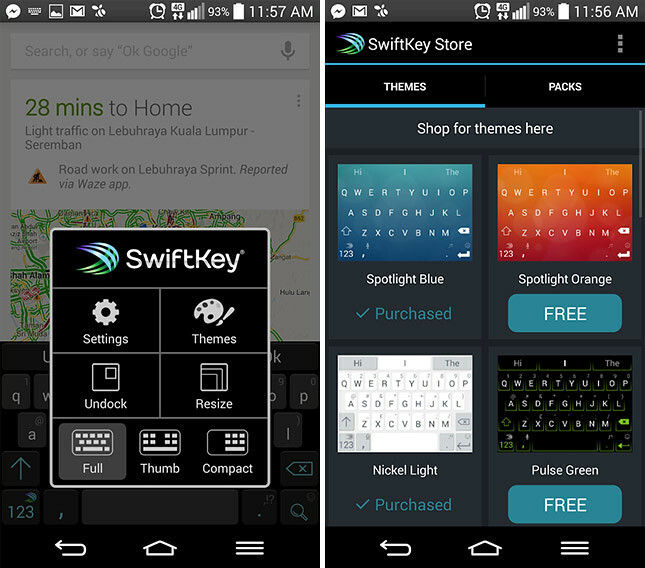 This is in addition to all the other new themes you’ll find in the SwiftKey Store. Emoji – Choose from over 800 emoji as you type, just a tap away from the regular keyboard. Tap the smiley in chat and messaging apps or long press the return key in other apps and away you go. Emoji are only available on devices running Android 4.1 or above. Emoji prediction – Let SwiftKey predict and suggest the emoji that matter most to you! SwiftKey’s learning engine remembers the context that you use emoji in and will also predict emoji as you type relevant words. For example, type “burg” and the burger emoji appears. To enable these features, go to Settings > Advanced and check the box marked ‘Emoji prediction’. Number row – Due to popular demand, this latest update introduces access to an optional number row without requiring you to switch layouts or use long press. Enable this in Settings > Layout, along with some other nifty features. Improved prediction engine – We’ve added better capitalization awareness in predictions and updated our technology’s overall learning ability, which is good for everyone. For the smart multilingual folks out there, we also have good news as we’ve improved our multilingual capabilities, meaning you can now magically type in up to three languages at once with even better accuracy! New languages – We now support 66 languages at a contextual level, which is awesome because it means even more people worldwide can benefit from using SwiftKey. The new languages are Belarusian, Mongolian, Tatar, Uzbek and Welsh. We’re also hard at work on more languages, including Japanese, which is in beta here. New and improved Flow trails – What’s a Flow trail, you might ask? Well, it’s the line that your finger leaves on the screen when you gesture type. From today, those of you who like to use SwiftKey Flow will notice the trails are clearer and more visually appealing, helping you type with better accuracy while also looking really cool.